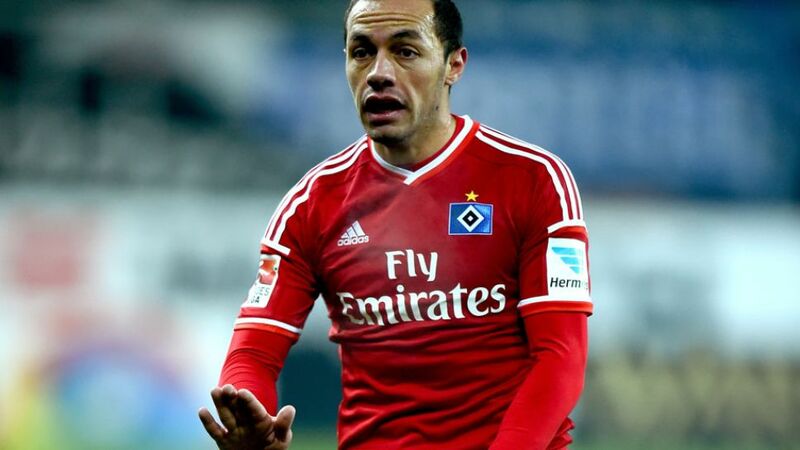 Hamburg - If ever a player deserves a holiday, it is Hamburger SV and Chile international midfielder Marcelo Diaz. Having helped the North German giants retain their Bundesliga status in the most dramatic and nail-biting of fashions at the beginning of June, the 28-year-old was part of the La Roja side that secured the Copa America title for the first time in the tournament's 99-year history last weekend. "It was simply fantastic," the Santiago-born star, who was also named in the official team of the tournament in Chile, told hsv.de. "The whole of Chile went ballistic. It was a highly unusual situation because it was the first time in the history of the Copa America that our country had won the competition. The fact that I was able to be a part of it makes me proud and happy." Diaz's exploits this summer have certainly not gone unnoticed back in Germany. Since Sunday's thrilling shootout victory over Argentina in the final, HSV's midfield motor has been inundated with messages of congratulations from his club colleagues at their training camp in Harsewinkel. "The fact that my HSV team-mates were rooting for me and celebrated with me - despite the time difference - is wonderful," he added. "I would like to say a huge thank you to them all!" Given Diaz's heroics at the tail-end of the 2014/15 campaign, the Hamburg players' affection for the Universidad de Chile youth academy product should come as no great surprise. The Red Shorts looked destined for Bundesliga 2 when Reinhold Yabo put Karlsruher SC 1-0 up in the second leg of their promotion/relegation play-off against HSV last month, but Diaz's spectacular 90th-minute free-kick sent the tie into extra-time before Nicolai Müller preserved Hamburg's status as the Bundesliga's only ever-present club with an extra-time winner. "The end of last season was everything I could have wished for," said Diaz, who has had no problems settling in the Port City since his arrival from FC Basel 1893 in January. "I had a few niggling injuries after I joined the club, but that's part and parcel of being a professional footballer. So far, my impressions of HSV are great. I'm at a big Bundesliga club with rich tradition, and playing in the Bundesliga with HSV is wonderful. Every game is a real challenge, the stadiums are almost always full and there's an abundance of stars on the pitch. I'm really glad to be part of it." "I want to fight for stability and consistency"
Having come dangerously close to dropping out of the top flight last term, though, Diaz is hoping Bruno Labbadia's charges reproduce the type of form that saw them collect ten points from their final five league games last season. While Diaz acknowledges that there is still plenty of work to do at the Volksparkstadion, he is confident that club can turn over a new leaf in the coming weeks and months. "If a big club like Hamburg only just survives relegation two years in a row, the fans can get frustrated and unhappy," Diaz admitted. "I'm sure, though, that things will be different this season. We have a good head coach who gets his ideas across very clearly, has a good mentality and a good approach. That's the first part, but the second part is up to the players. Personally, I want to fight for something big in Hamburg. I want to fight for stability and consistency, because the club, the fans and even our own families deserve better than an annual battle against relegation."